Below is a list of current projects that are open for recruitment and on-going projects that are closed for recruitment. Interested in improving your blood pressure, cholesterol levels, and weight eating soul food? Then the NEW Soul Study at the University of South Carolina may be for you. We’re looking for African American adults between the ages of 18 and 65 who can participate in a two-year, exciting healthy eating study. Visit www.NEWSoul.org to learn more. Posters from BRIE Lab Students. Are you or someone you know pregnant? Are you an adult looking to lose weight using innovative technology? The University of South Carolina is looking for adults to participate in a six-week weight loss study using innovative technology to track food intake. Participants must be overweight or obese, between the ages of 18 and 65, own an Android of iPhone smartphone, and able to attend two in-person visits on USC campus. For more information, please complete the screening questionnaire. Join this innovative six-month weight loss study! If you have a smartphone and can come to four in-person sessions at the University of South Carolina over the next 6 months, then please click here to learn more about the DIET Mobile study. We are exploring eating frequency differences between vegans and omnivores using the Bite Counter, an innovative wearable wrist device. To enroll in this research study, you must be between the ages 18-65, and currently be following a vegan or omnivore diet. An omnivore diet includes all food types, such as meat, fish, dairy products, and vegetables. A vegan diet excludes all animal by products, such as meat, fish, and dairy products. You must be able to come to the University of South Carolina’s Arnold School of Public Health in Columbia, SC at least three times during the two-weeks of participation in the research study (baseline, end of week 1, and end of week 2).Participants will receive $30 for completing the study and a free nutrient analysis. Participants will also be entered into a raffle for a $100 gift card for each time they log their diet using the Bite Counter. 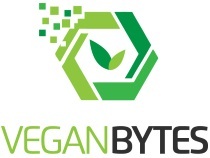 For more information and to see if you qualify, visit: VeganBytes Study for more information. This is a 1-month study that will examine the use of podcasting and a wearable wrist-worn device to track calorie intake and promote weight loss. A podcast is a digital audio file that can be listened to on portable media players, like iPods, and personal computers. This study will run from July 14, 2015 to August 11, 2015. 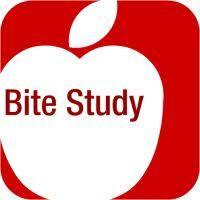 In this study, you will receive weight loss information delivered via twice weekly podcasts. You will also track each meal you eat by wearing a provided watch-like device. For more information, click here. If you are interested in getting more physical activity and eating better, have a smartphone or tablet, and have a child between the ages of 9 and 12, please visit www.mobilefamilyresearch.com for more information. If you are interested in losing weight and have an Android phone or tablet, please contact us for more information. Eight-week pilot study comparing adoption of five different dietary approaches: vegan, vegetarian, pesco-vegetarian, semi-vegetarian, or omnivorous, on weight loss in 63 adults affected by obesity or overweight. All dietary patterns emphasized eating low-fat and low-glycemic index foods. This study was a cross-sectional survey of 422 participants who had completed a half-, full-, or ultramarathon in the past 12 months. The objective of the study was to examine differences in diet, particularly vegetarian diets, among distance runners. Six-month intervention examining how different dietary approaches may be useful for women with Polycystic Ovarian Syndrome (PCOS) who are attempting pregnancy, particularly by measuring changes in weight. The Mobile Pounds Off Digitally Study examined the additional benefit of mobile prompting (2/day) and communication via the social networking site Twitter and mobile diet and physical activity monitoring via phone application (Mobile group) over podcasts alone (Podcast group).